A door is the first thing that a person sees when enters any place. Moreover, if it is the door of a shop or any store then the beauty of the door is very important. A beautiful door is very necessary for shops and stores as they can attract more customers. Not only it is about shops and a store, but the beauty of doors is important for homes too. 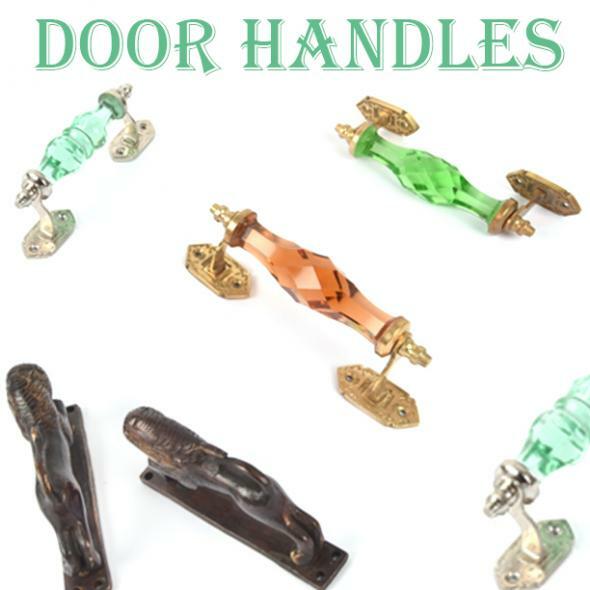 A beautiful door with a beautiful door handle can create an impression on the people coming to your home. With time, doors have become a very important part of home décor because these days there are many varieties and designs of doors and Glass door handle present in the market. It is not possible for everyone to spend thousands of money on the beauty of doors at home. Not everyone can spend this much money on the décor of doors. This is why the Indian shelf is here with some amazing door hacks that one can easily apply them in their life and can create an everlasting impression on the guests coming to your home. Read more to find the interesting door hacks mentioned in the blog. Do try them to impress your guests! Do you have a boring and plain door inside your home? Paint it with black! Painting your interior doors black instantly makes your space look more interesting and expensive. In addition, it turns your simple home into the modern looking home. No home has the scarcity for plain and boring doors. Hence, to turn your old and boring doors into a fun piece, bring different stencils to your home and use them on your door with metallic paint to add colour and shine. The idea of using stencils is definitely one of the easiest and affordable hacks to enhance your doors. Do you have a glass door and looking for the cheapest door hack to improve it? Add faux frosting to your glass door using contact paper and a stencil. Apply this door hack on your doors to enhance the shine and grace of your door. This will make a big change at your home and will save your money too. Is it necessary to keep the door handle at the left side of the door? No, this time keep the door handle on a hollow core door and use a cheap ceiling medallion as moulding. We are sure; you will get tired of answering your guests from where you got this idea. Definitely, a door handle in the centre is a new thing to discover for anyone. Do you have bored of the old doors of your closet? Update your plain closet doors by adding ceiling medallions around the handles. After adding them on closet doors, paint them with some appealing colour. This will make them aesthetic and will add a royal touch to your home. If you are not so good at crafting or modifying things, then the easiest way to decorate your doors is to cover them with wallpapers. There are many types of wallpaper present in the market. Buy one of your choices and paste it on your door carefully to make it even more beautiful. Another way to beautify your doors is to paint them on your own. If you are a person, who loves drawing and painting then revive your lost love for colours today. Painting the doors on own will not only beautify it but will also give you satisfaction. Only painting the doors or making it colourful is not the only way to catch the eyes of your guests at the home door. There are many ideas that you can use to add a wow factor on your door. You can put a collage of your family photos at your door or can put a whiteboard on the doors written with a beautiful message. Definitely, your guests will love this. Try it in your home today!